Script Antifaz de carnaval, psp 9 probado hasta el X2, totalmente interactivo, no requiere instalar selecciones, cambiar el color, gradiente o textura según tus necesidades. Puedes adquirirlo en cualquiera de las tiendas donde estoy afiliada. Baja una muestra pinchando sobre la imagen. 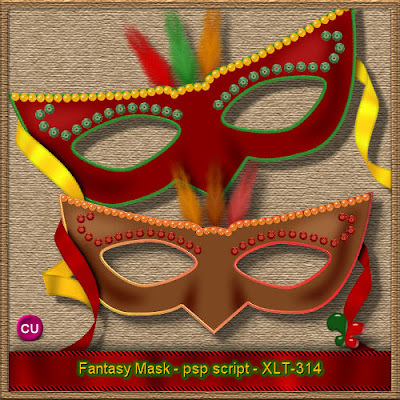 Script carnival mask, psp 9 tested to the X2's highly interactive, requires no installation selections, change the color, gradient or texture to suit your needs. You can buy in any store where I am affiliated. Low sample by clicking on the image. Thank you so much for this Freebie. I want to let you know that I posted a link to your blog in CBH Digital Scrapbooking Freebies, under the Page 9 post on Feb. 07, 2010. Thanks again.